The City of Fayetteville was incorporated on August 23, 1870 and is located in Northwest Arkansas, in the heart of Mid-America. We are located just 35 miles south of the Arkansas/Missouri border and 25 miles west of the Arkansas/Oklahoma border. Our city is part of the Fayetteville-Springdale-Rogers MSA (Metropolitan Statistical Area), which includes the counties of Washington, Benton, Madison and McDonald. Our MSA is one of 4 in Arkansas and of 366 across the United States. Fayetteville boasts a population of 78,960 with a student population at the University of Arkansas over 27,000. With such a diverse mix of residents, there's no shortage of things to do and wonderful sites to see throughout our great city. From historic and iconic buildings such as Old Main on the University of Arkansas campus, to eclectic boutiques, to our world-class trails system - Fayetteville has a lot to offer. We invite you to explore our great city and to fully immerse yourself into our wonderful community. Download a PDF of the 2016 Livability Fayetteville magazine. 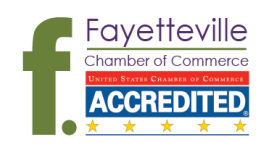 Check out the Fayetteville Convention & Visitors Bureau website for a wide variety of entertainment throughout our area. Visit Explore Northwest Arkansas, the site that showcases the great attractions throughout our region. 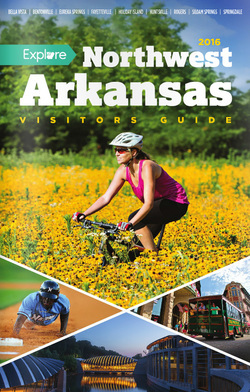 Be sure to check out their online flip-book version of the 2016 Northwest Arkansas Visitors Guide by clicking on the link below or on the magazine to the left. This magazine gives you an up close look at why over 3 million people visit our region each year.